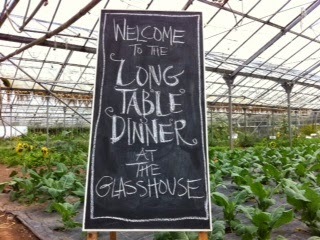 The tickets have just gone on sale for this year's Long Table Dinner on 22nd July and as before it's creating a flurry of excitement, with many people who've been before rushing to buy their tickets for this year's event - it's been sold out for the past three years - despite the price tag of €120 per person, including wine. Which certainly sounds very steep - but people reckon it's totally worth it for the whole experience. 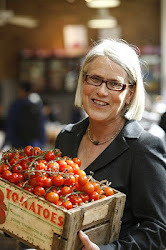 The proceeds go to the East Cork Slow Food educational project, which teaches children from nine local primary schools to how to cook, grow and keep chickens. It's such a delicious way to enjoy the bounty of the season, and the pleasures of eating al fresco... with the added protection that we often need in our unreliable Irish climate! 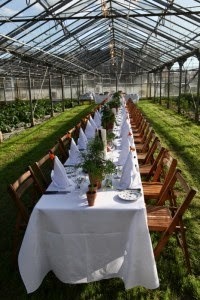 For the past couple of years we've planted a green lawn in one of the bays of the greenhouses, and laid a long table with starched white linen tablecloths in the midst of the scarlet runner beans, tomato vines and edible flowers. All the food comes from the farm and gardens, and the fish and shellfish from nearby Ballycotton from which Rory and his team create a wonderful dinner.It's a wonderful celebration of the work of our cooks, farm lads and gardeners. and gardens to the greenhouses. The Gardeners and their friends play a little music and then we all sit down at the long table to enjoy a convivial evening. 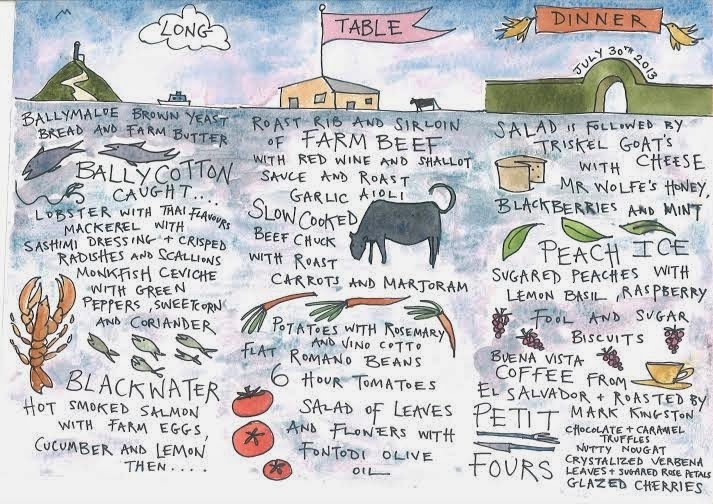 The menu is always a surprise, but here is last year's one, illustrated by my daughter Lydia, to whet your appetites... Booking is essential and can be done online or by phone 021 4646785.